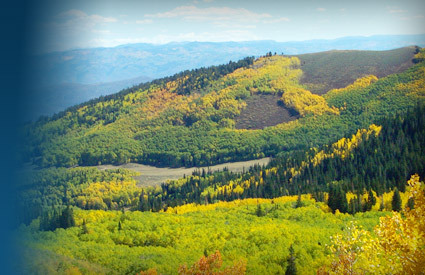 Utah meeting and event planning programs concentrate on the year-round outdoor activities and beautiful scenic views available in this beautiful state. These include numerous world-class ski resorts, such as the Stein Eriksen Lodge in Wasatch Mountains and the unique spaces at Utah Olympic Park in Park City. When selecting Utah meeting and event planning sites, planners will have some unique choices, from the Grand and Little America hotels in Salt Lake City to the world-famous Sundance Resort. A mountain town with city amenities, Ogden serves up fantastic meeting and event capabilities and venues with a side of unrivaled four-season recreation and teambuilding options. Home of the Sundance Film Festival, Park City meeting and event planning offers modern facilities, such as the Utah Olympic Park, nestled against the Rockies. Since hosting the Olympics in 2002, Salt Lake City has expanded dramatically and now welcomes meeting and event planning professionals with large convention centers, exhibit halls, and meeting rooms. When meeting and event planning in Utah Valley note that venues play host to high-tech companies, Brigham Young University and rural traditions of generations. Meeting and event planning in Layton, an exurb of Salt Lake City, offers mountain and lake recreation within minutes of its conference center, meeting hotels and other Layton event venues. In Provo, it’s easy to plan meetings and events where year-round outdoor attractions, culture and modern amenities are plentiful at an affordable price. In fact, groups will be amazed by Utah’s natural beauty.